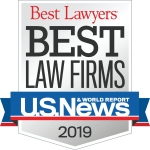 Mr. Burkholder’s experience includes the representation of corporate CEO’s in hostile workplace litigation; he has defended non-profits against multi-plaintiff civil rights act and whistleblower protection act claims. His business and commercial litigation experience includes unfair competition, defamation and trade secret misappropriation disputes. He represents insurers on a variety of coverage matters, including copyright infringement, trademark infringement, false advertising and trade secret misappropriation. In addition to direct trial representation, Mr. Burkholder has coordinated the defense of multi-state product liability actions, supervising local counsel, coordinating discovery and managing the operations of large document depositories. Mr. Burkholder is an active member of the state bars in Michigan and Illinois.